The role of the Department of Education in disaster risk reduction has expanded in the last several years consistent with the evolution of the Disaster Risk Reduction (DRR) sector after the passage of RA 10121 or the Philippine Disaster Risk Reduction and Management Act of 2010. 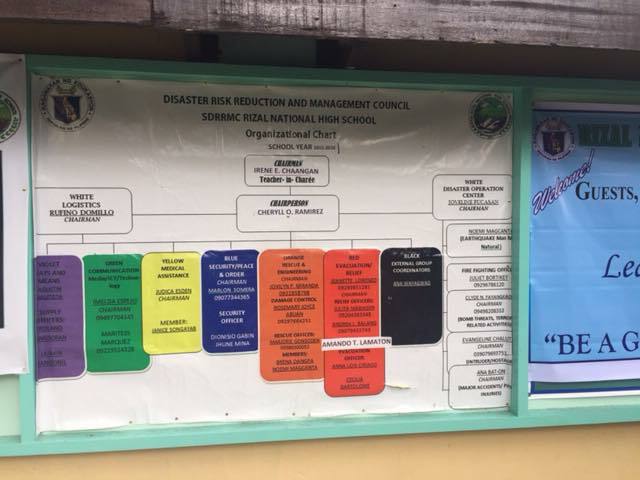 Our previous participation with the National Disaster Risk Reduction Management Council was mostly to report on damages to school facilities and suspension of classes. Br. 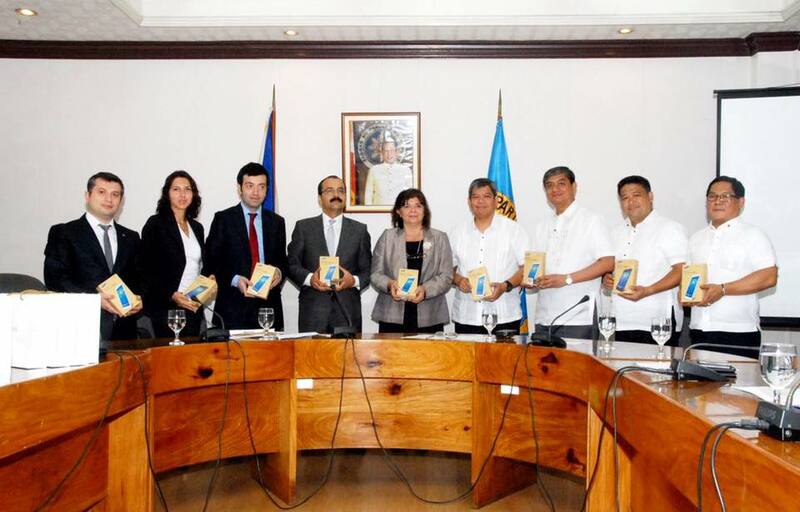 Armin Luistro, FSC wanted to push for a more proactive engagement and foray into disaster risk reduction. The focus was about building resilience. It was about making sure that our schools, communities, and families are safe. 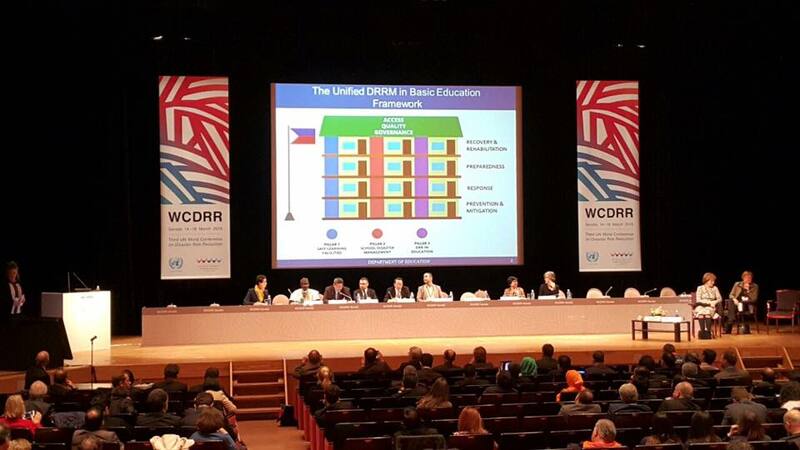 To strengthen our capacity, DepEd was granted the authority to hire DRR coordinators for all schools divisions and regional offices. 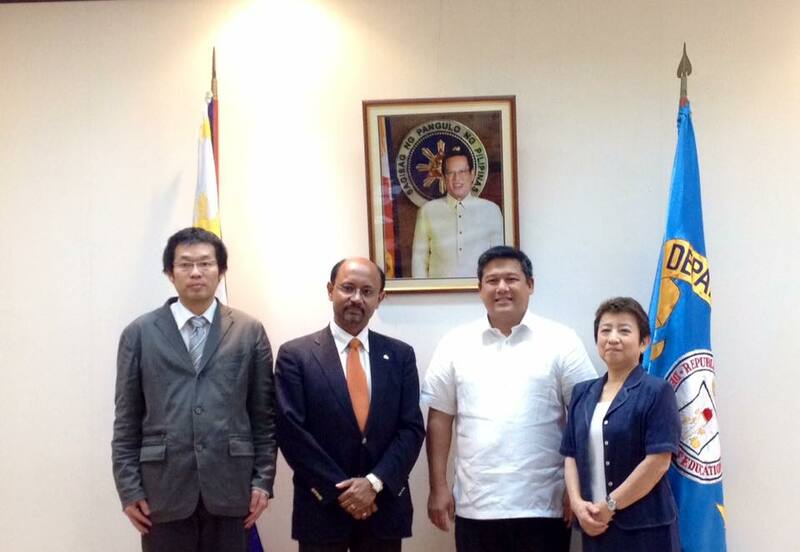 Further, a new Disaster and Risk Reduction Management Service (DRRMS) was created in the Central Office. 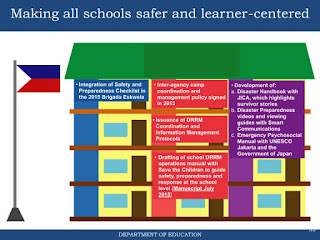 The Comprehensive School Safety framework was formulated by the Global Alliance for DRR in the Education Sector. It identifies three pillars: Safe School Facilities, School Disaster Management, and Risk Reduction and Resilience Education. 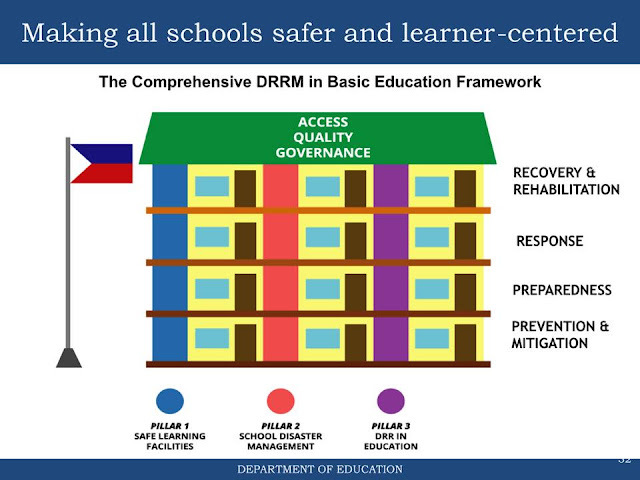 DepEd adopted this and also aligned it with the four themes of prevention, preparedness, response, and rehabilitation & recovery. 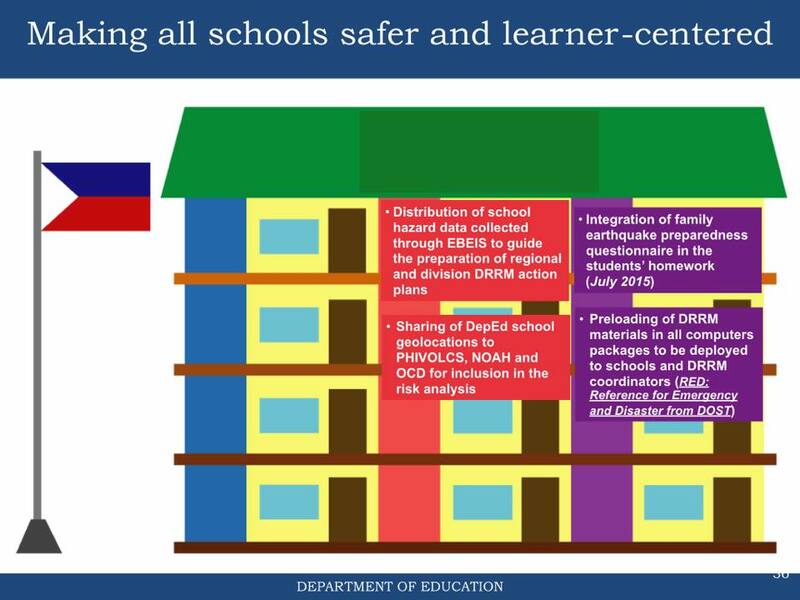 This unified national framework guides the Department at all levels in integrating DRR and education outcomes and forms the basis for many programs implemented in the last two years. Prevention and Preparedness are critical aspects of building resilience or our ability to withstand, survive, recover and bounce back from the impact of hazards. There is clear recognition that it is not enough to teach DRR concepts. There must be constant and practical application in the home environment where the child spends half of her time. We had recently started giving homework on earthquake preparedness. This gives children and parents an opportunity to be more aware of the ways they are at risk and facing hazards. It also allows them to think of possible interventions that they can employ to avoid or mitigate these risks. It encourages active interaction between and among different members of the family to ensure safety. Schools need to understand the different risks that they face, understand their vulnerabilities and build on the needed capacities to become more resilient. This applies to Division, Region and Central offices as well. Typhoon Yolanda has taught us many lessons. One of those is in recovering from huge devastation and how to get the education sector up and running in the soonest time possible. At times, we have discovered that amidst destruction, schools provide a safe haven and a sense of normalcy for kids. So when we can and despite limitations, we try to resume classes if only to gather kids, have them check on each other, give them time to talk about their experiences, and cull out learnings from the devastating event. In the aspect of recovery, it takes time. It becomes even more challenging when devastation is widespread and intense. In light of our current organizational setup and bureaucratic constraints, rehabilitation of infrastructure can sometimes be frustrating. But we push forward and never give up. Because that is what government is supposed to do. Many have criticized us. But we continue what we do. Because that is what government is supposed to do. I must say though, that it is important to understand complexities to also understand how problems can be addressed. Building back better is central to the theme of recovery and we are talking about building back lives of learners, parents, teachers and administrative staff. It should be nothing less than that. 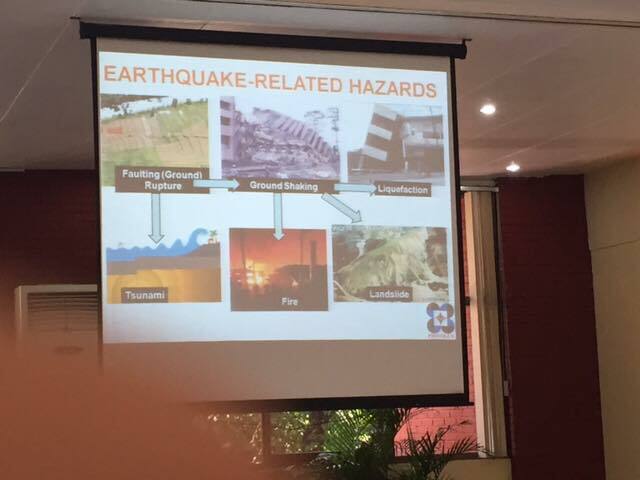 Considering that our country is exposed to many hazards, the education sector is exposed to risk as well. 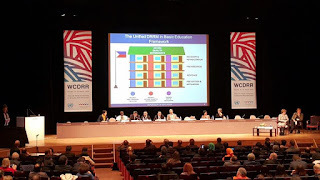 It is important to see that education helps achieve DRR outcomes and conversely, DRR helps achieve our education outcomes of access, quality and governance. Let me end by including text from Marian Aniban. She is from DepEd and she has been tirelessly doing DRR work for schools and communities. I feel it is important for people to catch a glimpse of the kind of commitment DepEd people are showing for our learners. Not just in Central Office but more so in the field. "Education suffers in cases when severe calamities strike. This is especially true when our schools are often used as evacuation centers for displaced families. 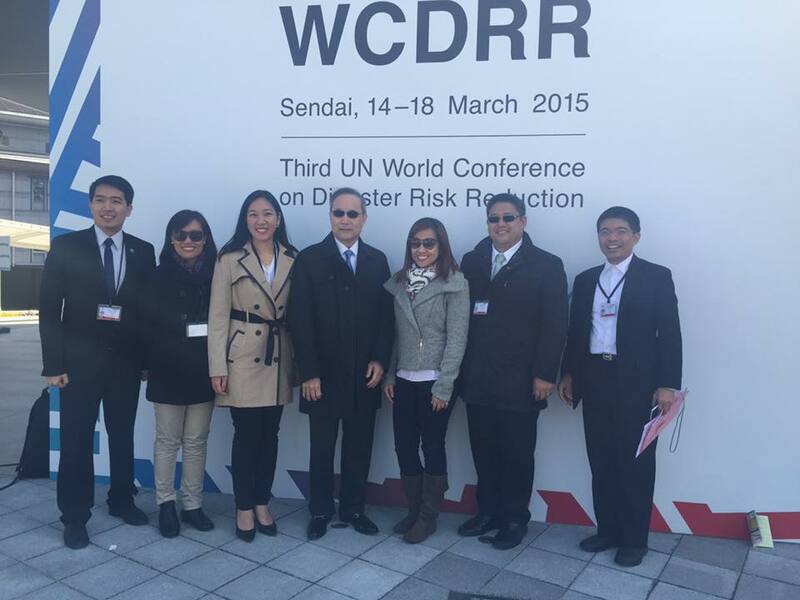 Some of the efforts and the systems that are in place for DRRM is a result of our trauma on Yolanda. 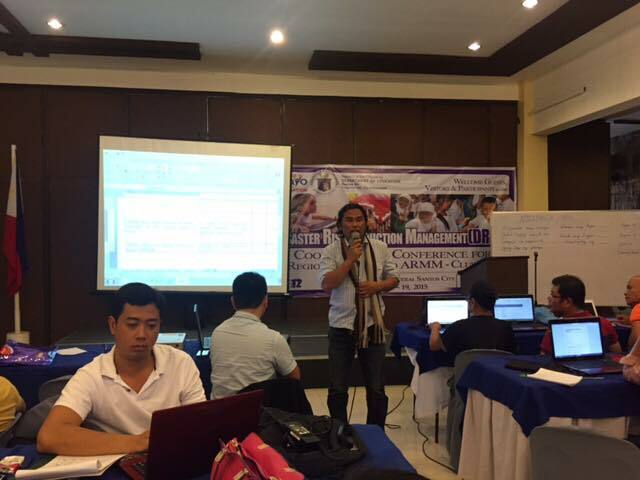 After Yolanda, we decided that the damage report should come directly from schools to fast-track the collection of data after disasters. So we decided to put up a simple solution in which the schools can send via SMS their report to the Central Office while the CO process and consolidate them and endorse it to proper offices. In addition, we also put up our own information management protocol so that we can efficiently communicate with the region and division offices. We are now tracking key officials before a typhoon to ensure that decision makers are present in the Area of Responsibility. We are now active and present in inter-agency meetings before, during, and after a disaster. We even render a 24-hour duty at the Operations Center of NDRRMC during Red Alert Status to monitor the status of our schools. The DRRM staff are practically volunteers who are always ready to be deployed in times of disasters even during holidays. Since data on damage wasn't systematically collected before, we weren't able to see how calamities impact education. When we were able to do so (major typhoons such as Glenda, Ruby, Lando, and Nona have 2,436; 1,400; 555 and 1,206 schools with reported damage) we now realize that determining those with damage is just one part of the problem! We need to do assessment of damage for repairs and new construction, to monitor efforts from various groups which includes donors, to construct temporary learning spaces in severely affected areas, to figure out a way on how to print and deliver huge quantities of learning materials for all grade levels per title the soonest possible time, to monitor schools which have been used as evacuation centers for a long period of time, to track displacement. This is a new but familiar kind of work which needed non-business as usual solutions and we were able to accomplish them albeit the challenges. Also, I guess it is important to note that education continuity is not just about construction of school buildings. 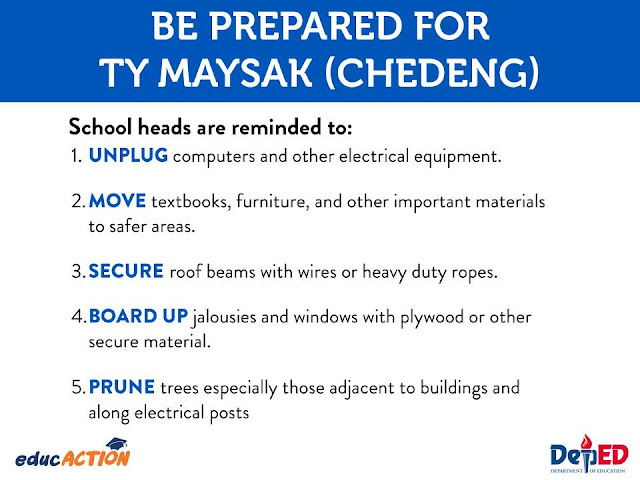 Can you imagine how much money we can save if schools are only able to prune branches of trees before a typhoon? 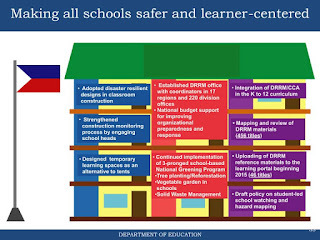 Prevention & mitigation and preparedness is actually key to everything, so we are now more focused in creating standards and policies for safer schools with the intention of empowering schools so that they can respond to their own education needs after a disaster. Our vision is to also institutionalize DRRM in education, and we not just created a framework for this, we are advocating this framework horizontally--to other partners and colleagues from other agencies--and vertically--to our field offices--so that all of us share the same language. 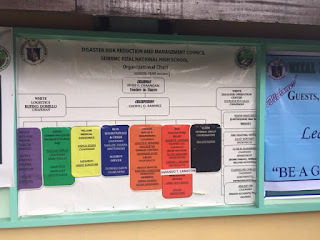 We were also able to successfully hire DRRM coordinators at the region and division level, and ask the schools to come up with their own DRRM teams to ensure DRRM support in all levels. We also thank the region and division DRRM coordinators who do parallel work and monitoring of schools on top of other things they do, most especially to those who do this despite the limited funds. Lastly, we also learned how buildings doesn't necessarily create schools, it's the teacher and learners who do. 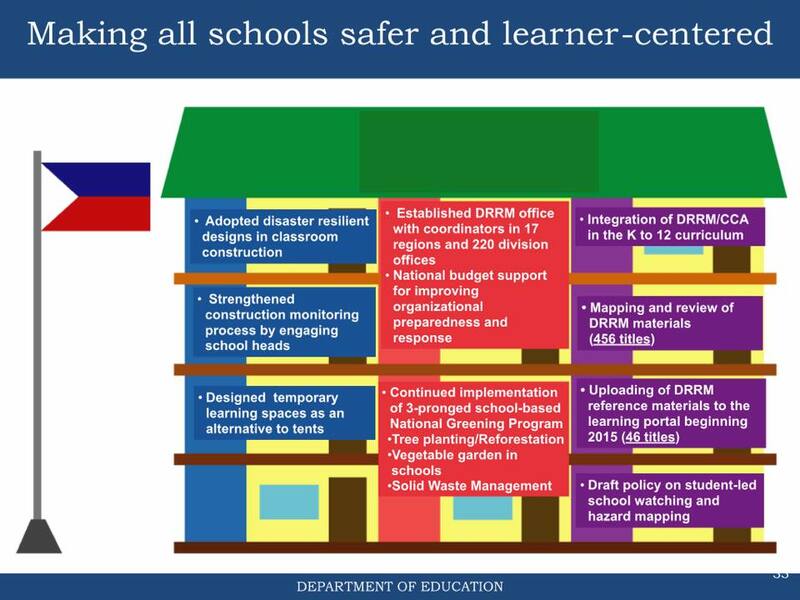 The same way as resilient buildings don't just make resilient schools, kaya meron tayong Pillar 2 and Pillar 3. 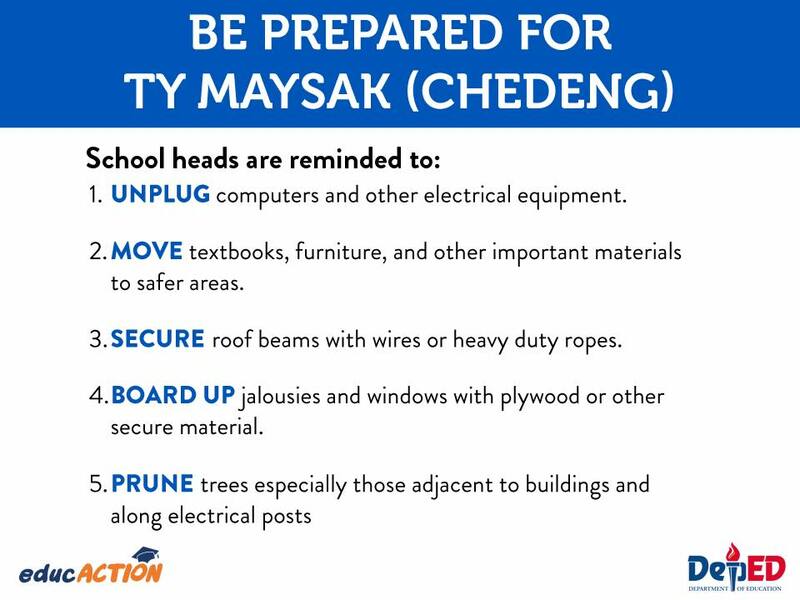 Teachers and learners resume classes in TLS, in other types of facilities such as the church, LGU building, covered court, among others. Schools also employ alternative delivery modes. 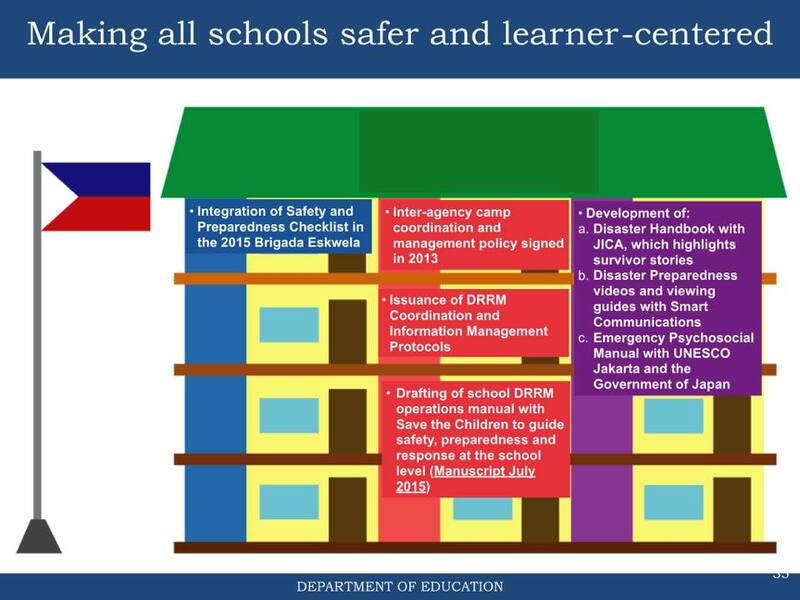 Saludo ako sa mga napuntahan kong schools na merong mga nagawang solutions kahit walang tulong sa central office! We need to empower schools so that they can respond to their own education needs after a disaster." 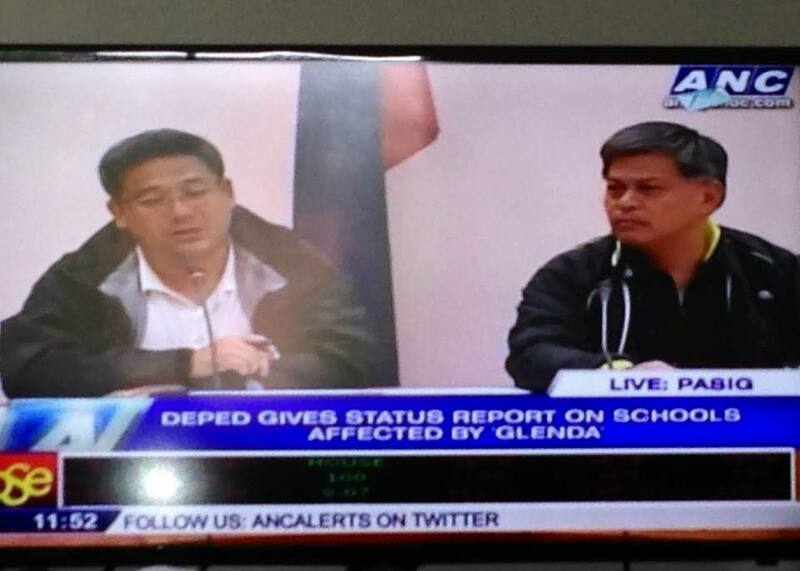 Are you still with DepEd? 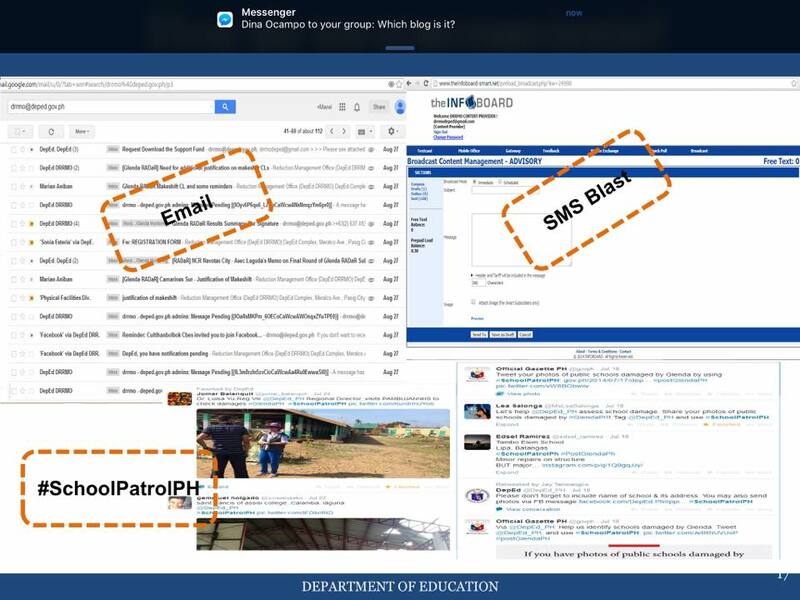 We are looking for DepEd contacts active in DRRM for our project on Resileince of PH schools to Disasters. 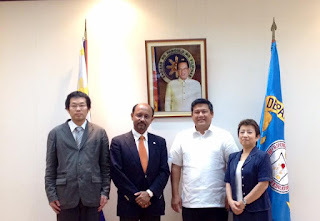 I am Dr. Andy Oreta of DLSU (email: andres.oreta@dlsu.edu.ph). 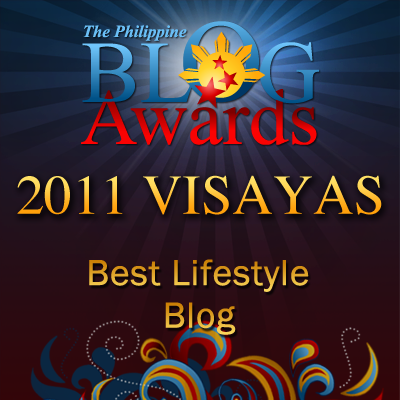 The author of this post is no longer connected with the DepEd and as the admin/owner of this blog, I have already retired from the service as a school head.